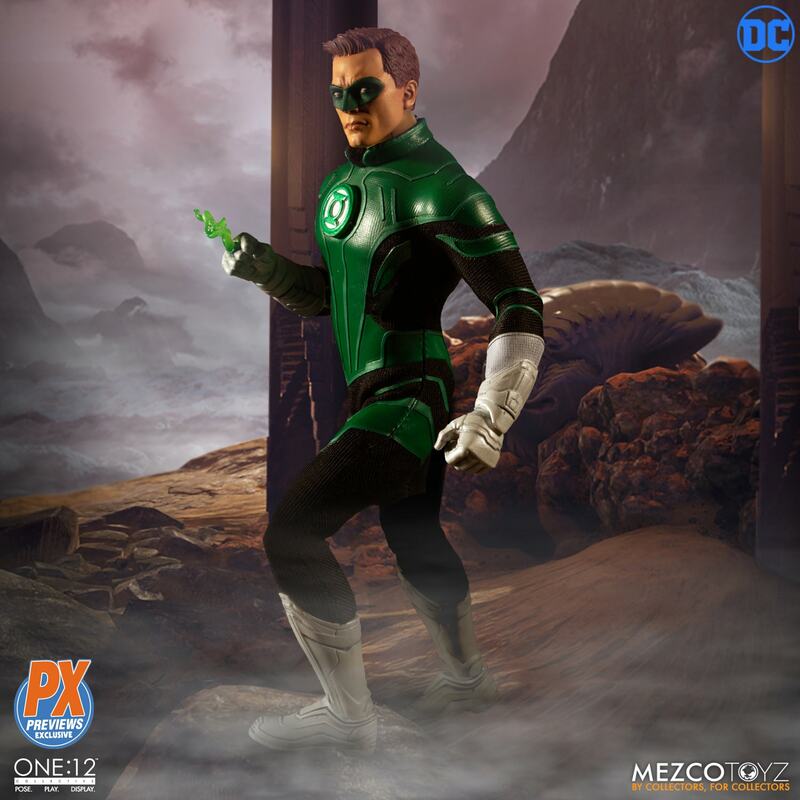 Intricately detailed and featuring a 3D chest insignia, his fitted suit features wrist gauntlets, combat gloves, and mid-calf boots. 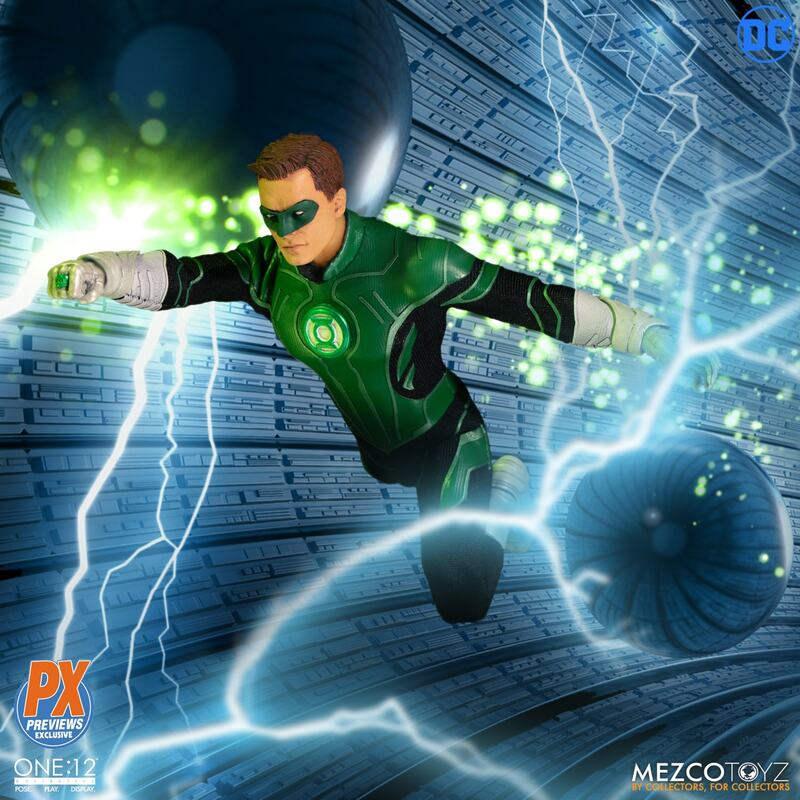 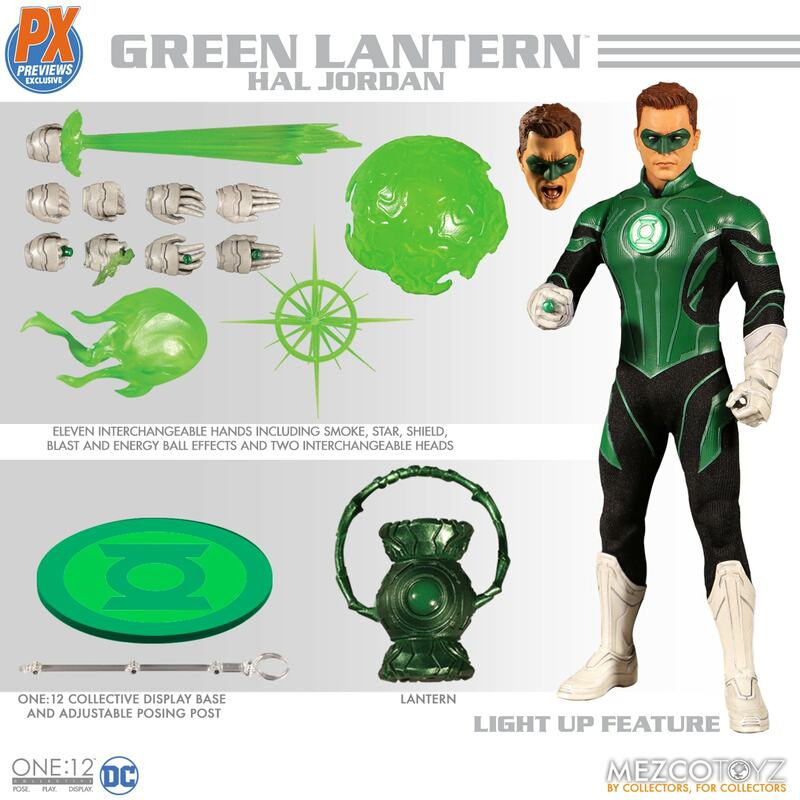 Included is a real light-up Power Battery lantern as used by the Green Lantern Corps to recharge their power rings. 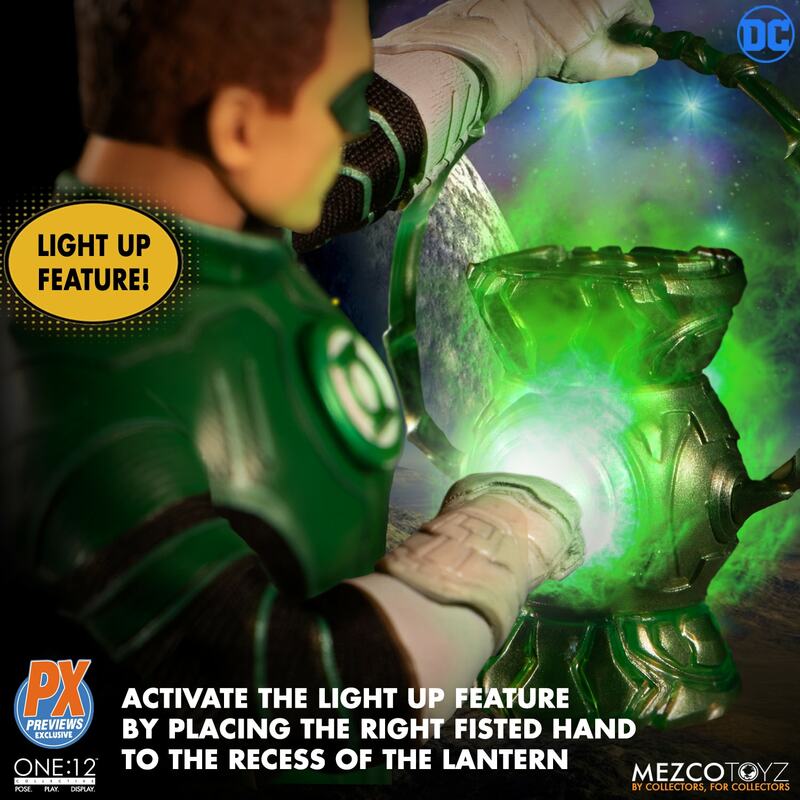 Activate the light-up feature by placing the right fisted hand in the recess of the lantern. 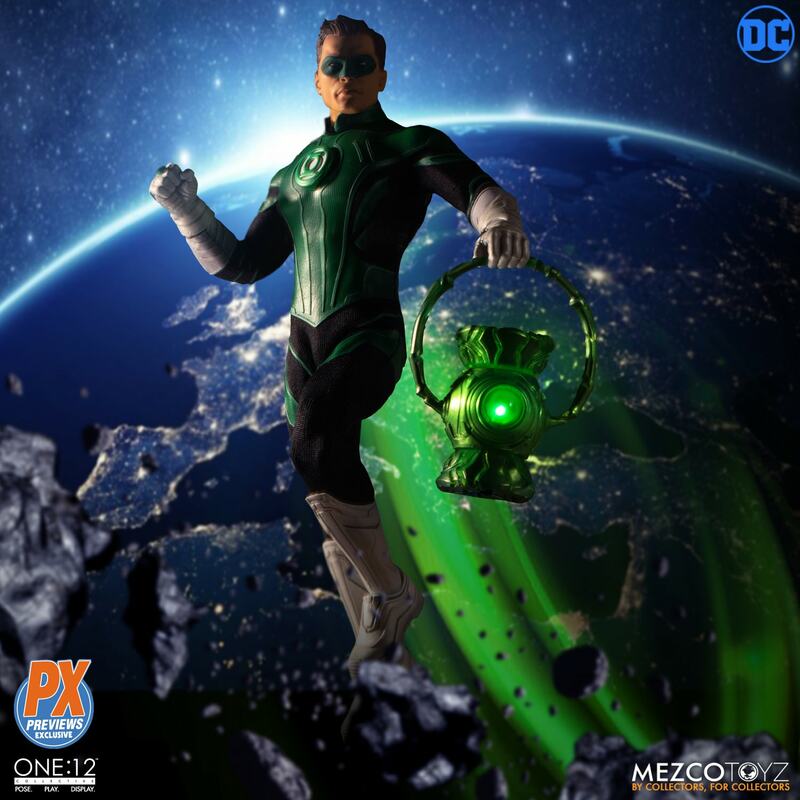 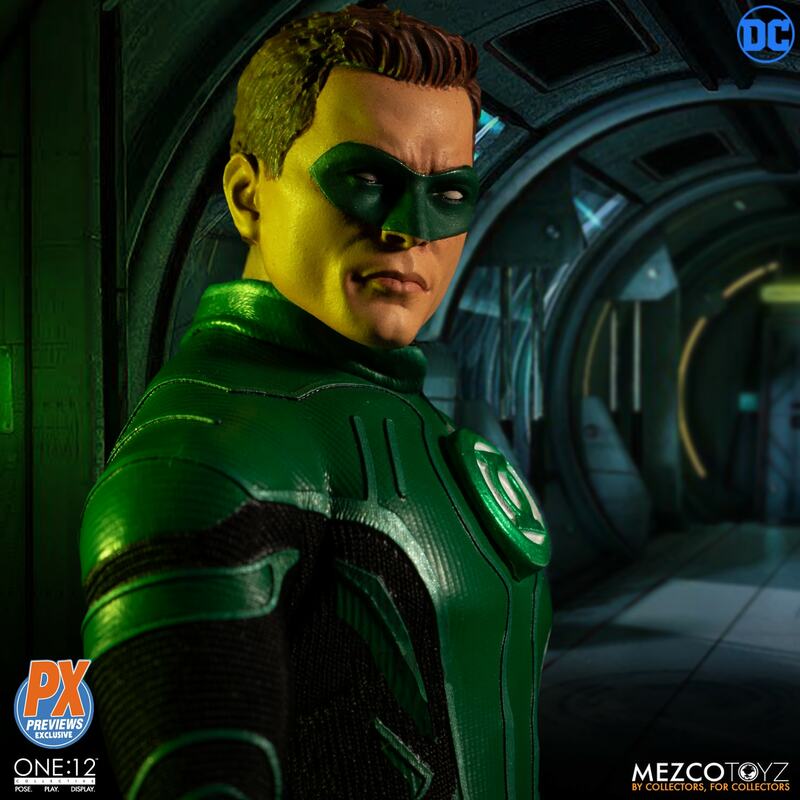 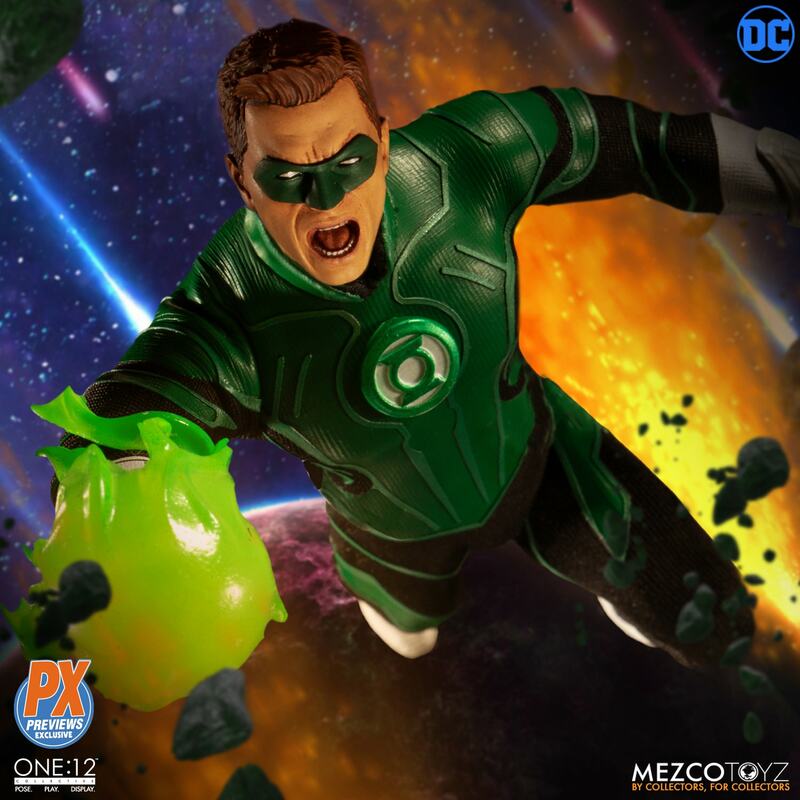 The One:12 Collective Hal Jordan features a One:12 Collective body that features 32 points of articulation and stands about 6.5" tall! 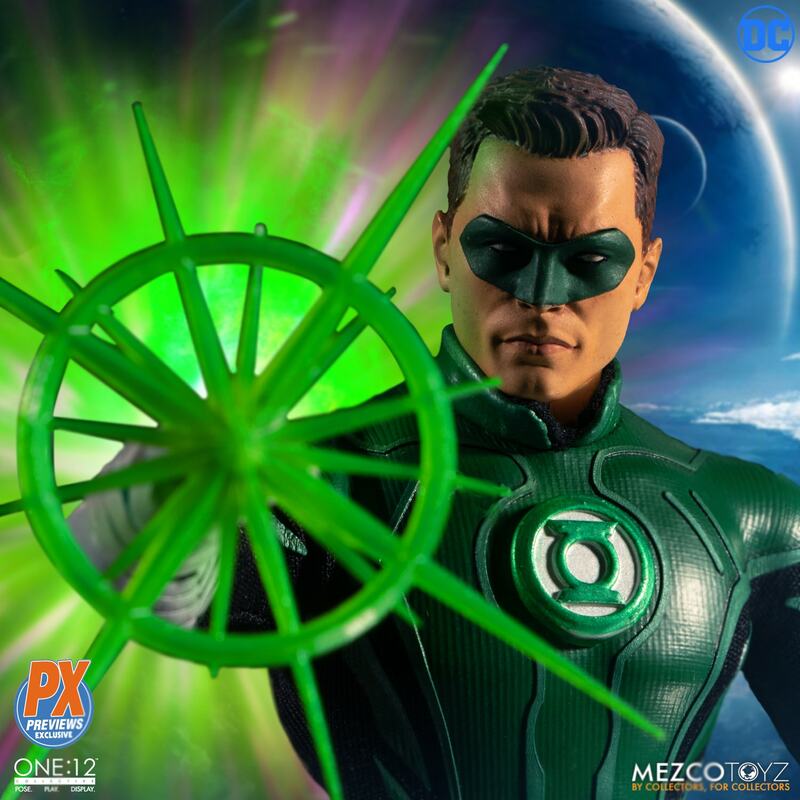 He comes with eleven interchangeable hands that include smoke, star, shield blast and energy ball effects, plus two interchangeable heads and Power Battery with ring activated light-up function! 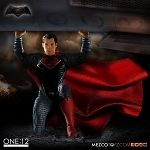 Hal comes with a One:12 Collective display base with logo and adjustable display post for easy posing! 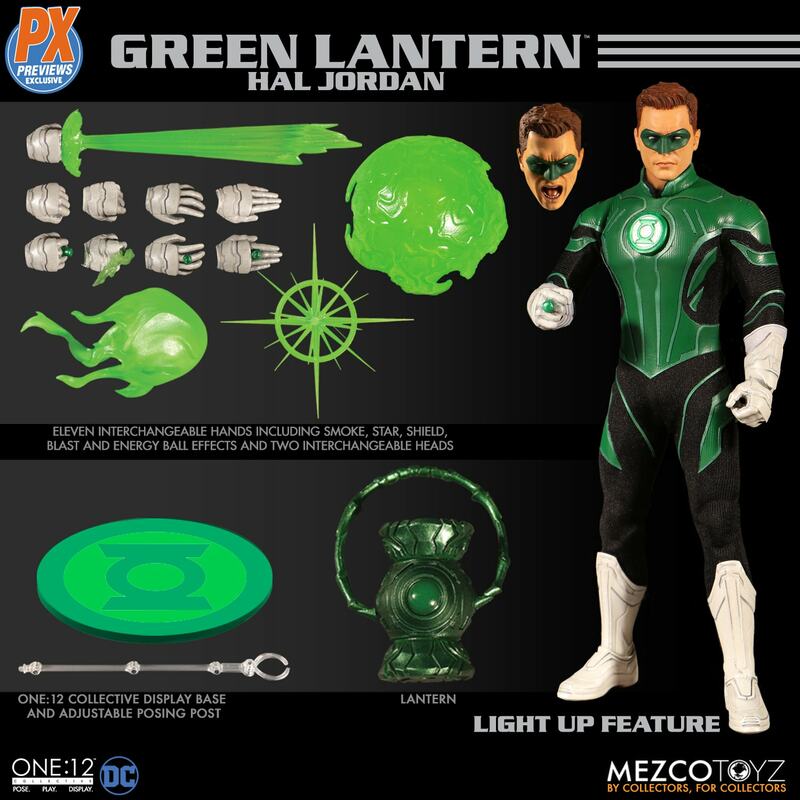 Each One:12 Collective Hal Jordan figure is packaged in a collector friendly box, designed with fans in mind!